There are far more men in the tech sector than women. So it is surely an achievement to be celebrated that my company, Good-Loop, is over half (55%) female. Draw up humble speeches about our greatness, put us on posters and give us an award! Firstly, that 55% depends on how you count it. If we adjust for full-time vs part-time, the balance would be 1/3 female to 2/3 male -- still a lot more balanced than the sector average, but less worthy of a poster. Stats can often be chosen to suit the message ("cherry picked" to use the technical term). Statistics should be compiled by someone independent, with no axe in the race or horse to grind. Or produced to a fixed formula, which will no doubt be inappropriate in many cases, but has the benefit of being consistent and comprehensible. Moreover, 50/50 is not the goal of diversity. The gender % is a symptom, and should be treated as such -- it is not the disease itself. If you visit a doctor with a fever, you expect to be tested for the underlying cause, not put in a fridge. We should treat gender % statistics, and indeed, all statistics, in the same way. All things being equal we expect 50/50 male/female, 2% black, 6% red-heads etc. If there's an imbalance, then prejudice at work might be a problem - but there are other possible causes. For example, when I collect my child from nursery today, most of the staff are female -- but I doubt the nursery is sexist; the cause is at the society level, where more men aren't encouraged towards care roles. Also, nice stats could merely mask problems, and treating the stats would certainly mask problems. For example, if a workplace is biased against mothers who hit a glass-ceiling, then promoting non-mothers won't fix that. Statistics (and more generally: data) is a powerful lens for examining the world. But like any lens, it distorts. The useful thing about a statistic is it simplifies the world and allows for easy comparisons. This is also the dangerous thing -- the world is rarely simple. The data scientist must be alert to the wider picture, the complex causes behind the circumstantial summary. And we all use statistics, so we are all data scientists now. The goal of diversity is a workplace free from prejudice, where all kinds of people can achieve their potential and contribute. I believe that is our company, and that is worth being proud of. Eclipse 4 vs IntelliJ 13 -- Which is the best Java IDE? 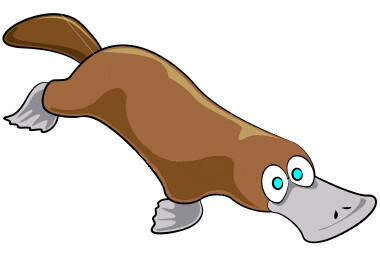 The platypus caused consternation, shattered existing categories. It's existence was undeniable, but how should taxonomic theory be adapted to accommodate this uncomfortable fact? This blog is also hard to classify. It loosely follows the professional interests and activities of Daniel Winterstein. Topics are likely to range from business affairs to new media via data science and abstract mathematics.